A custom hat for a lovely customer in Australia. 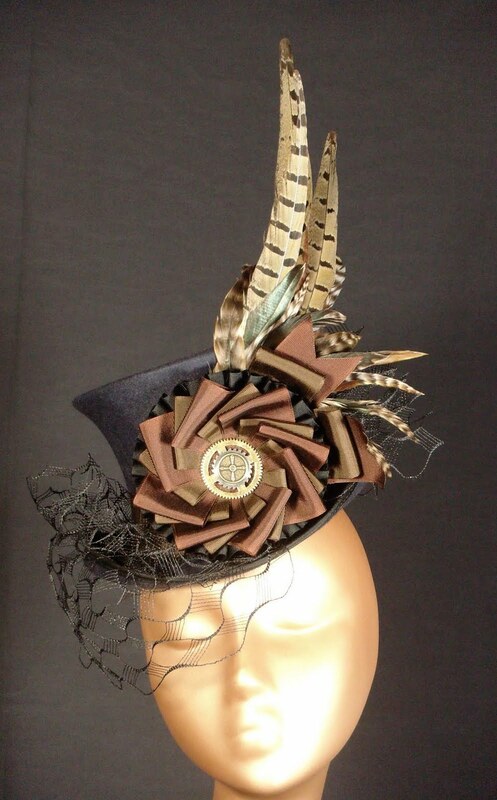 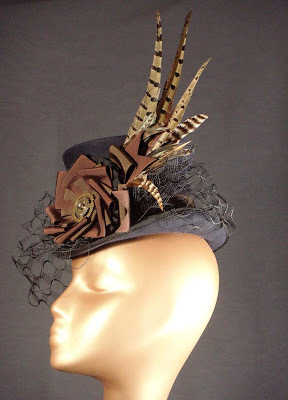 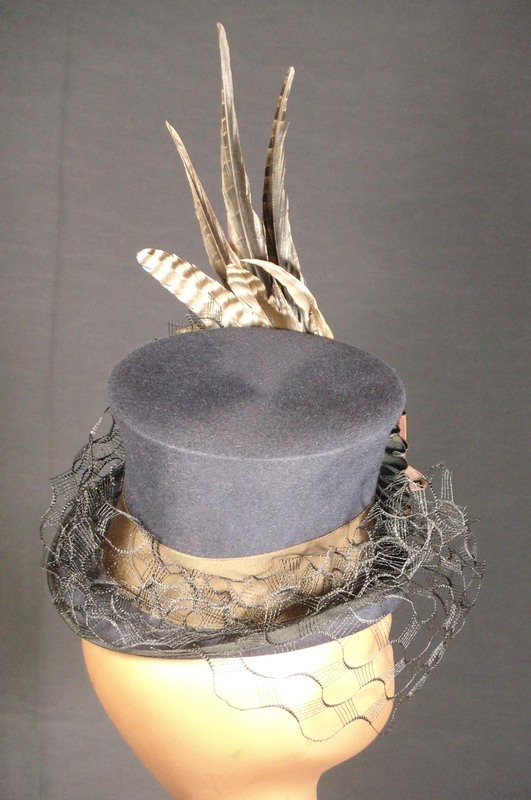 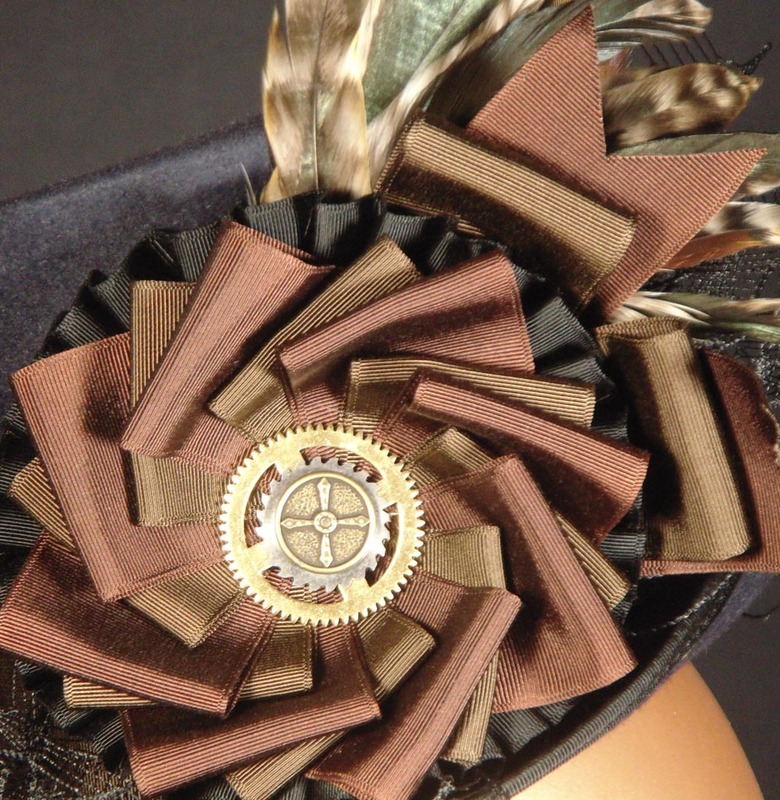 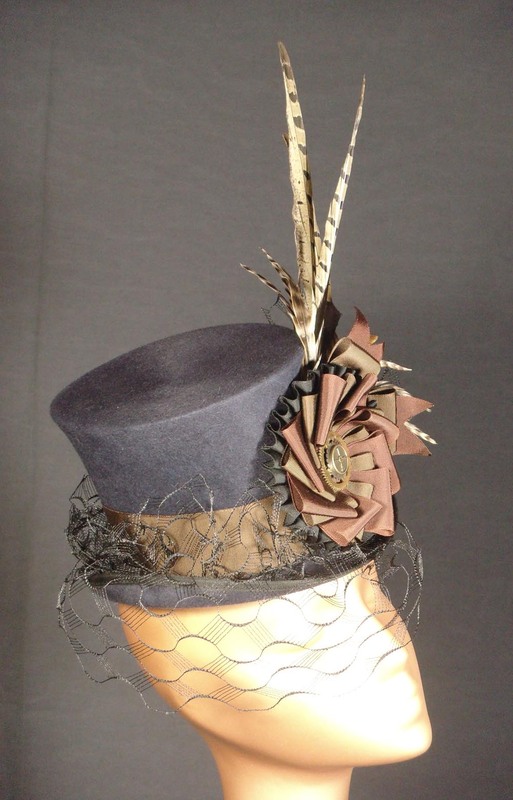 A navy blue fur felt mini top hat with black and brown ribbonwork, black veiling, and a mix of coque and pheasant feathers. 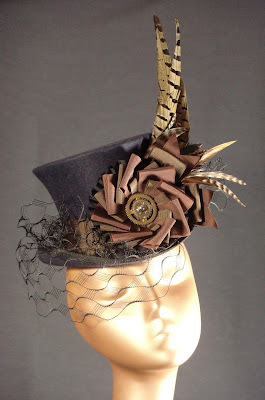 Clock parts to finish the cockade gives it a touch of steampunk style.